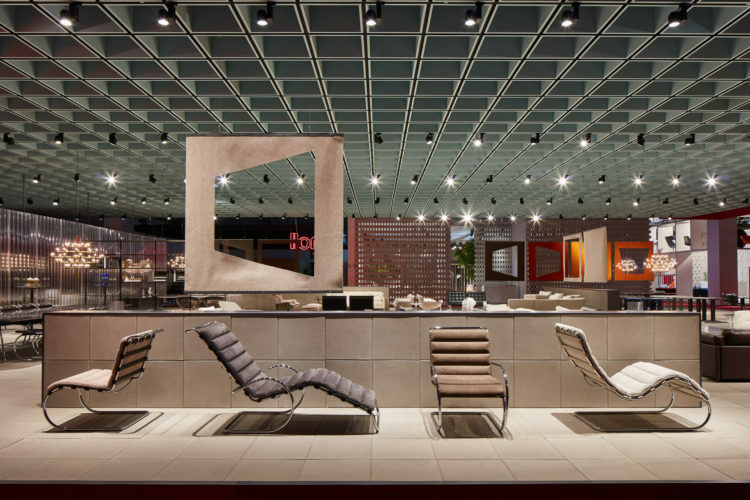 Milan, 11 April 2019 - At the 59th Salone Internazionale del Mobile, Knoll presents new designs by Piero Lissoni and Barber & Osgerby alongside reimagined Modern classics. The installation, designed by OMA, mimics Marcel Breuer's original design of the Whitney Museum of American Art. 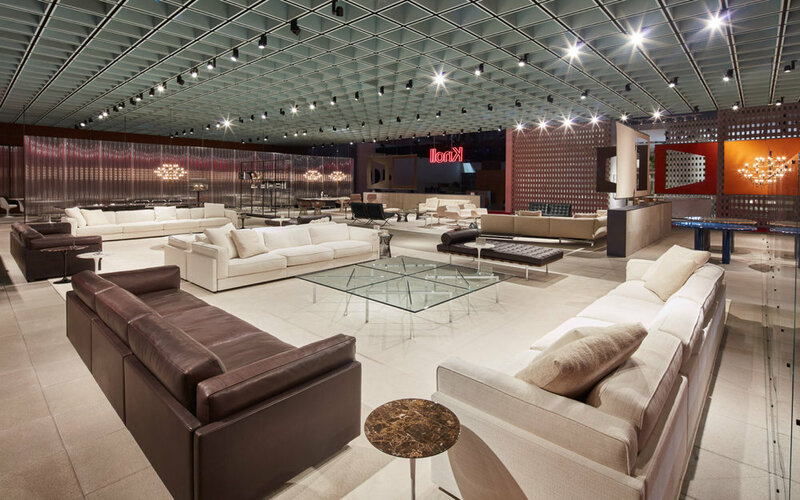 Beneath the signature ceiling, modularity, prefabrication and geometry give rise to a versatile, functional space. OMA chose different materials that reinforce the concept of variety and create perfect backdrops for the products of the Knoll collection: tactile and solid, organic and artificial. 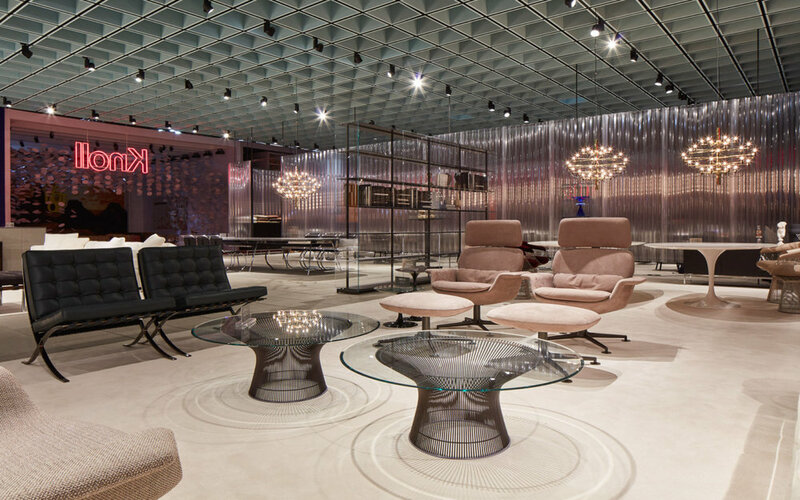 The path through the stand reveals nuanced updates to iconic Knoll designs, mixed with new work, harmoniously shifting from subtle details to elegant, unexpected ensembles. 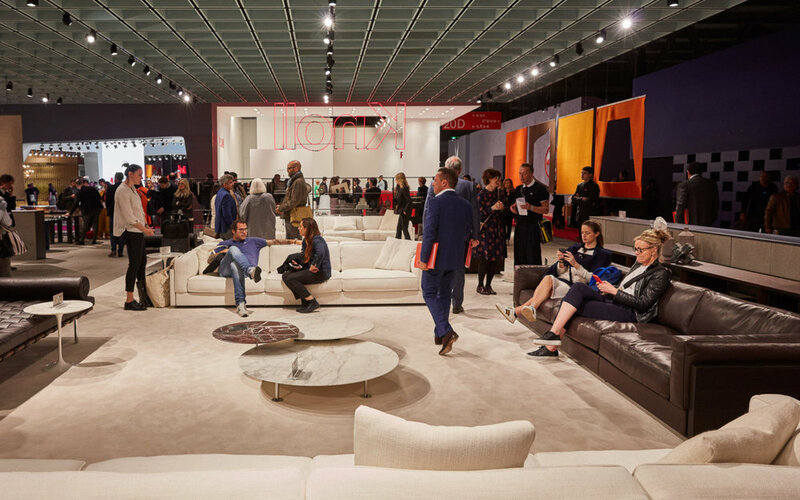 Knoll is also celebrating the Bauhaus centennial, presenting new collections and iconic products that together emphasize the Knoll modernist tradition.For 2019, Knoll has once again called on OMA to design its stand at Salone del Mobile. The project draws inspiration from the minimalism of Marcel Breuer, as applied in his original design for the Whitney Museum of American Art in New York. 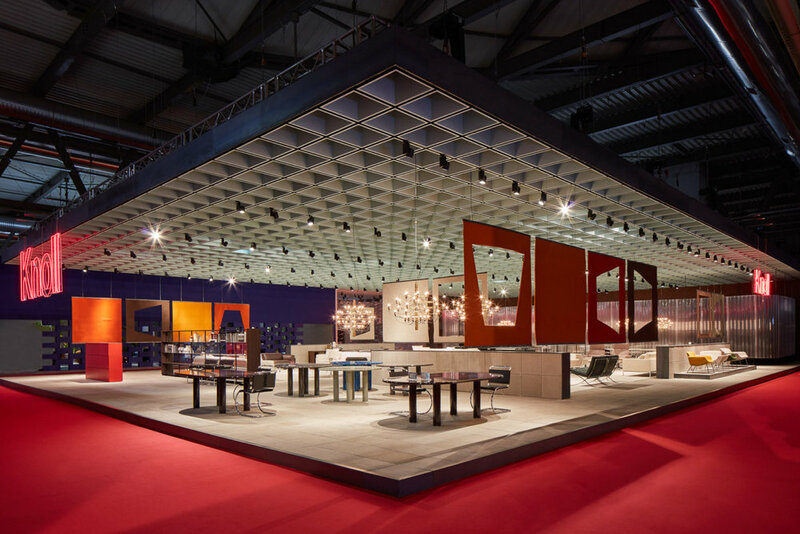 Taking formal and material cues from the original space, the OMA pavilion’s focal point is a replica of the modular suspended ceiling Breuer designed for the museum.